Over 5 private acres surround this fabulous country home! Privacy does not get much better than this! 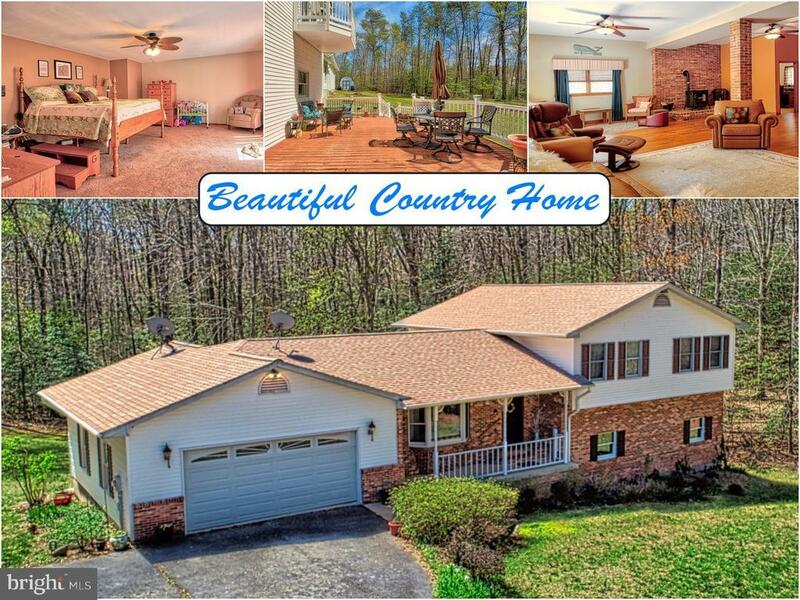 Located in a peaceful location in Charles County, you will enjoy hearing the birds and watching the wildlife! The lot offers a perfect balance of cleared land and woods. The home is a spacious 4-level split level. The main level features a spacious living room, dining room and kitchen! Upstairs features a large master suite with an attached bathroom, with separate shower and soaking tub. There are 2 other bedrooms upstairs with a hall bath. The lower level is amazing! There is a large family room with soaring ceilings! Additionally, there is the 4th bedroom/office and a half bath, a huge laundry room, and this level walks out to an enormous maintenance free deck! The basement is unfinished and is currently used for storage...with a little creativity, you can turn this space into additional living area with a game room, another bedroom, or maybe a theater room! The home offers a large 2-car garage, a front porch, and for peace mind about utility bills, this home offers a geothermal HVAC system! Directions: Thompson Corner Rd (Rt236) to Ryceville Rd. Property on left at 13785 Ryceville.